Skim milk and fat-free milk are popular consumer goods in the dairy section. Despite notable differences in terms of labelling, both these products refer to the same milk variant. Skim milk is also known as fat-free milk. As one of the most popular milk variants in the dairy section, skim milk is processed by removing all the cream from whole milk. During the skimming process, more than 99.5% of milk fat is removed, making it practically fat-free. 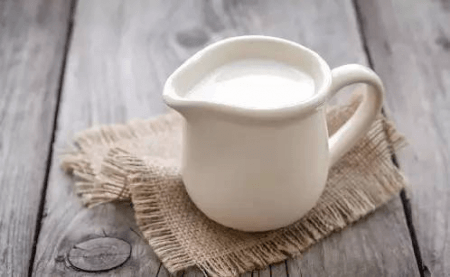 Since there are different milk options available in the market, the U.S. Food and Drug Administration (FDA) categorized milk products based on factors like fat and nutrient content. Skim milk is also labeled as fat-free milk, skimmed milk, concentrated skim milk, reconstituted skim milk, and nonfat milk. Other manufacturers also market skim milk as “free of fat” and “zero fat.” Basically, the labeling of skim milk products depends on the manufacturer’s preferences. Based on FDA’s guidelines, a milk product must contain less than 1/2 gram of fat per serving to be labeled as skim or fat-free milk. Essentially, despite its name, skim milk is not completely fat-free. However, its fat content is significantly lower than other milk variants such as whole milk and 2% milk, which contain all the original fat and 2% fat, respectively. In terms of nutrition, skim milk retains almost the same amount of nutrients that is found in other milk variants. Although the skimming process strips vitamins from the product, it is fortified with vitamin A and D. Also, skim milk is a rich source of vitamins and minerals such as calcium, phosphorus, magnesium, potassium, zinc, magnesium, selenium, protein, and vitamin B1, B2, and B12. A small serving of skim milk is equivalent to 8 grams of protein, 85 calories, and 12 grams of lactose. It also contains 20% of the daily recommended amount of vitamin D, 10% vitamin A and 30% calcium. Skim milk is also available in different forms. Fat-free products in powdered form are typically labeled as nonfat dry milk or fat-free dry milk, while regular skim milk is also called reconstituted skim milk. Condensed or concentrated nonfat milk, on the other hand, is thicker in texture and consistency. As compared to regular skim milk, condensed skim milk is a richer source of vitamins and minerals. Among the different skim milk variants, organic skim milk is most popular among health enthusiasts. As the name implies, organic skim milk is manufactured free from chemicals and additives. In like manner, the milk-producing cows were raised free from antibiotics and synthetic growth-stimulating hormones. Lastly, skim milk can easily be incorporated into the diet as it can either be consumed on its own or used as a cooking ingredient for pasta dishes, soups, or casseroles. It can also be added to smoothies, cereals, fruits, and other snacks. There is no difference between these two milk variants as they are the same in fat and nutritional content and they fall under the same category.